Here we are at the end of day one; well at least the traveling end of it. We are in Quincy Illinois which is right on the Illinois/Missouri border. Today was mainly a travel day but we did take the majority of in on State roads instead of InterStates. Going the entire width of Illinois, which is about 225 miles, on local roads brought to mind an article I read on the Internet this morning. 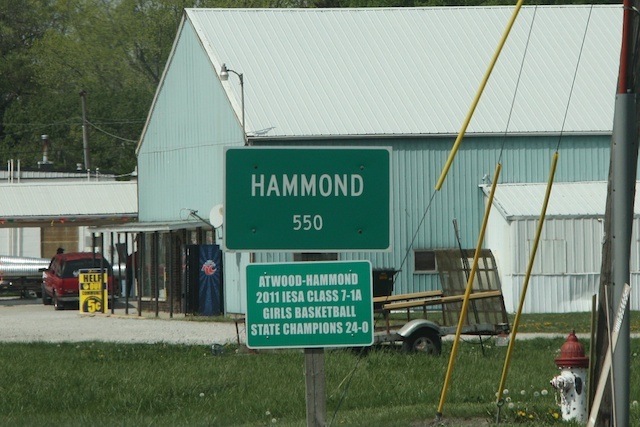 source: Tiny towns go up for sale – USATODAY.com. This is an article about a small town that is up for sale but could just as easily described half the towns we went through today. There are just so many small towns that used to be thriving centers but are now just shells of what they once were. There are always numerous abandoned buildings that once included a grocery, small restaurant, or maybe a hardware/farm implement store. I guess we have to blame the corporate farms for that. Where there were once twenty locally owned 500 acre farms there is now one 10,000 acre corporate farm. I guess this is progress but it is a shame that small town America is “collateral damage” in this process. The other most notable thing about today is how early Spring came this year. My wife and I have been taking a vacation this time of year to celebrate our wedding anniversary for more than twenty-five years now and I don’t ever remember the trees having so many leaves as the do now. This time of year in the Midwest it is usually raining and very cool (highs in the 50s). Today it got up to 83 degrees and was mostly sunny. This time of year the farmers are usually just beginning to think about putting in the crops. 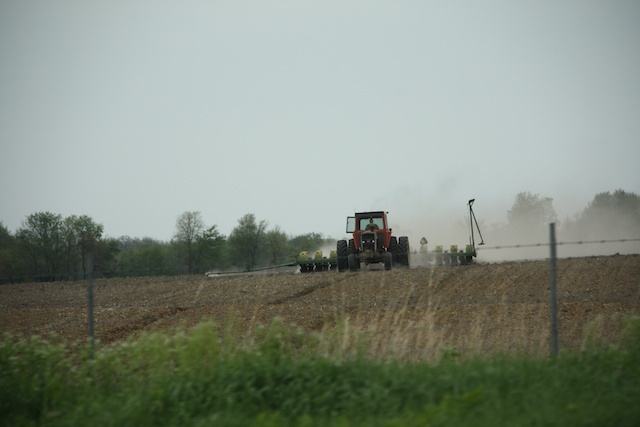 This year there were hundreds of tractor in clouds of dust prepping the ground for planting. The other thing I got to thinking about is that the number one crop in Illinois, and probably the U.S., is corn. 95% of what we saw today were fields that will soon be planted in corn. Where does all that corn go to? I enjoy an ear of corn now and then in the late summer months and do open a can of corn on occasion but that is about it. Maybe I am not eating my allotted quota of corn? 🙂 Actually I realize that I eat corn almost every day in the of corn sugar and such in prepared foods but still it seems like we grow so much…. I think of that quote almost every time I look in the mirror and just don’t recognize the person staring back at me. Tomorrow we will be heading on down the road westerly through much of northern Missouri and then a quick dash up to Nebraska via St. Joseph. ← These Low Interest Rates….